Lulu&apos;s worried that the judge will grant Valentin custody. Laura reassures her that they won&apos;t give up without a fight. When Kevin arrives, Lulu asks him for a favor. She wants him to be the court-appointed psychiatrist who evaluates Charlotte, then recommends Lulu. Kevin doesn&apos;t feel that he would be impartial. Laura asks if he can reach out and see who the court is appointing. Kevin reassures them that the psychiatrist will see beyond Charlotte&apos;s words. He advises them to trust the system. When Lulu leaves, Laura asks for a straight answer from Kevin. He tells her that the court could go either way. Liz and Franco get home, grateful to be alive after the bomb scare. Jake is there. When Liz shows him a photo of the baby, he mentions Helena&apos;s curse. Liz tells him that Helena&apos;s dead and there is no such thing as a curse. Jake goes into a bit of a trance and utters the words, "Never forget Jake, never tell." Jake snaps out of it and heads to bed. Liz pulls out the book from Cassadine Island. She swears to Franco that Jake has never seen the book, but he quoted a line from it. Liz worries about what Helena may have done to Jake, but she doesn&apos;t know where to start looking. Franco decides he&apos;ll try therapy with Jake again, but says Jason won&apos;t be happy. Liz says she&apos;ll deal with Jason. She just wants to find out what Helena did. Andre&apos;s happy to see that Jordan has recovered from getting knocked in the head. He admits that he misses them, but will always be her friend. 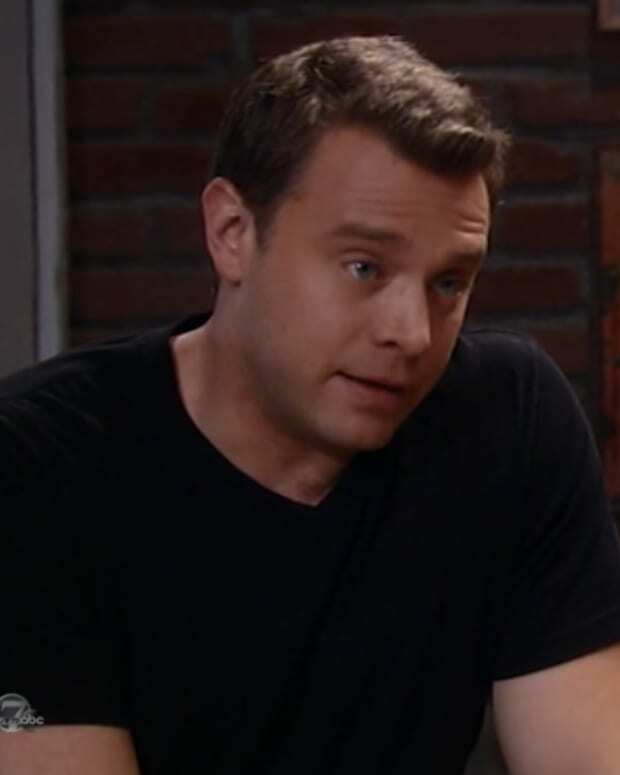 Sonny runs into Curtis and asks for information on Liv. Curtis tells him about Rudge, but that&apos;s all he knows. Sonny calls Max for help in locating her. Carly pays Morgan&apos;s grave another visit. She admits she wants revenge against who killed him. As she&apos;s leaving, Liv walks through the graveyard. Carly recognizes her and accuses Liv of killing Morgan. Jordan pays Ava a visit. Ava&apos;s worried about Julian. She tells Jordan what happened and that she doesn&apos;t know where Liv and Julian are now. Sonny heads to the bridge. He runs into Rudge. Sonny demands to know where Liv is, but Rudge has no idea. Liv pulls a gun on Carly. The two fight. Carly gets the gun and shoots Liv in the arm. Liv swears Morgan&apos;s death was an accident and that she was targeting Julian. Carly doesn&apos;t care and gets ready to shoot Liv again.